We take a quick look at SW Motech's new engine guard for BMW's R nineT Racer (£178). What’s good? 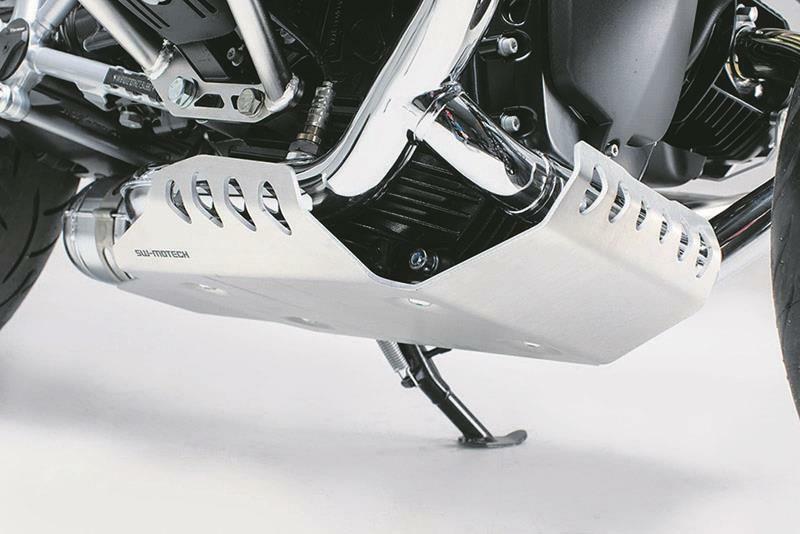 "Made from 4mm brushed aluminium, this engine guard promises to protect the Racer’s block and sump from stones and other debris thrown up by the front wheel. "Its rubber- mounted steel fitting brackets are designed for quick and easy installation, and attach to existing mounting points." What’s not? "It might collect stones and debris, so remove it regularly to keep it clean."